Welcome back, stamping friend! 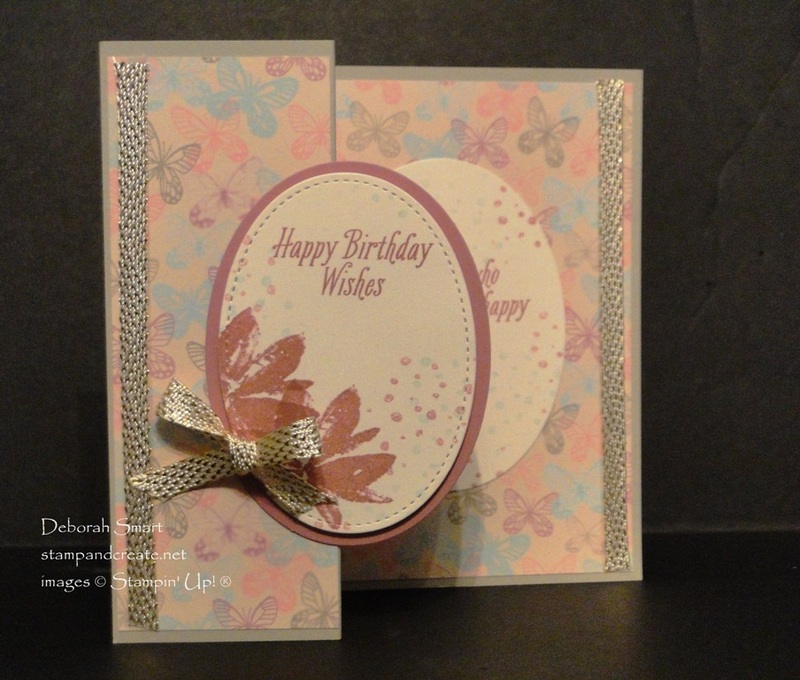 I’m back to share with you the cards that everyone created at Pam’s Private Card Class on the weekend. It was a lot of fun, and as I mentioned in yesterday’s post (you can READ HERE if you missed it) everyone did a great job! I was so surprised that they needed very little extra help, because except for Pam and 1 of her guests, all were new to stamping. I loved seeing everyone’s reaction when they first saw the die cut front before seeing the sample card. It was a mix of ‘that looks cool’ and ‘now what do we do’? It’s easy to create a fun and ‘wow’ card with the Balloon Adventures stamp set and coordinating Balloon Pop Up Thinlits Dies . Since everyone was new, I did the die cutting beforehand, and let everyone focus on the fun of stamping. 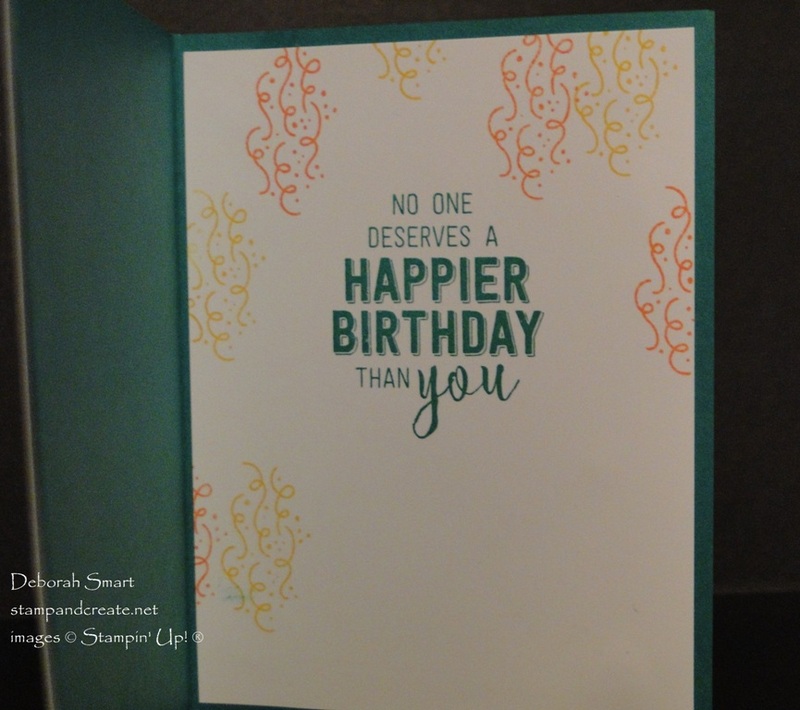 We used Pacific Point, Crushed Curry and Calypso Coral ink for stamping the balloons, and Emerald Envy ink for the banner and sentiment. I guess I’m pretty used to people who are familiar with how Stampin’ Up! coordinates their stamp sets and framelits. So Saturday it was pretty cool hearing everyone saying how great it was that they could easily see through the photopolymer stamps, and stamp their balloons. We were all having a laugh when I explained that I wasn’t just making up the names as I went along. I explained and showed how all of the ink and cardstock colours coordinate, and how the designer papers also used the same colours. 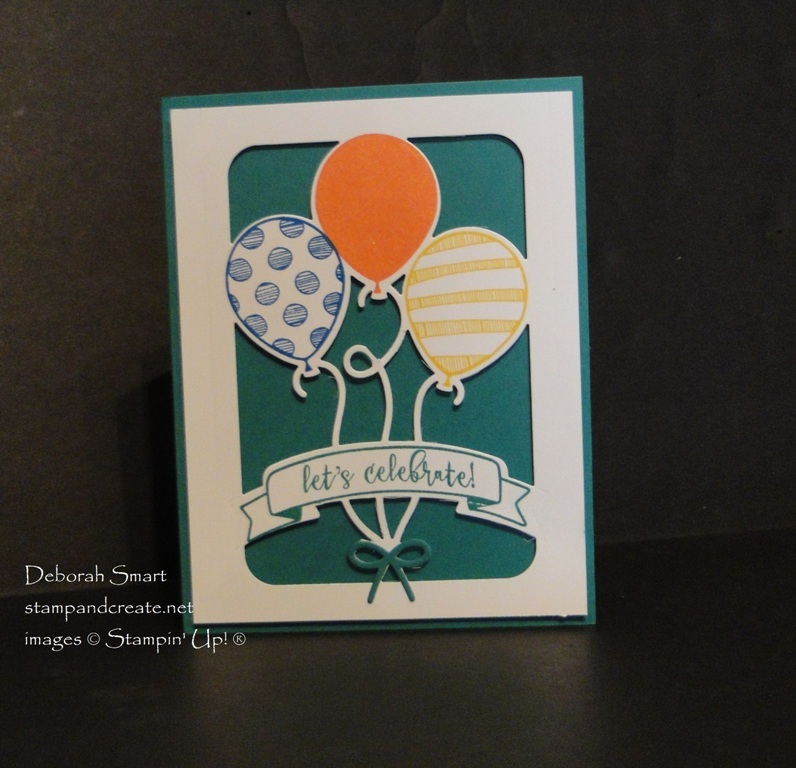 I think Stampin’ Up! 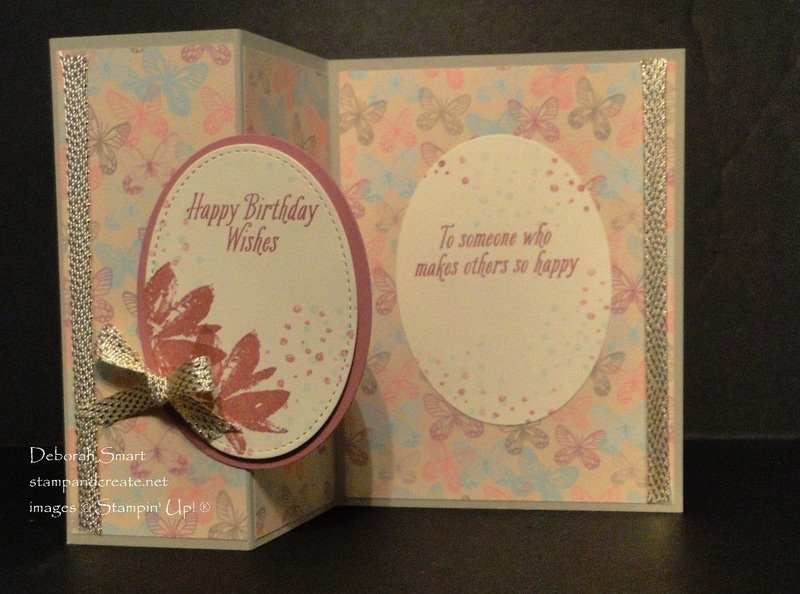 makes it really easy for us to make fabulous looking cards! When Pam and I were coordinating the class, I asked if there was a certain theme, or preference for the type of cards. There was one lady, she said, who hoped that we could do a wedding card, as her son is getting married next month. Voila – a card is born! This beautiful Floral Phrases stamp set is perfect for weddings, anniversaries and thank you cards. There is a whole Floral Boutique Suite of products that coordinate, but since I didn’t know the wedding colour theme, I thought that using Night of Navy might be too big of a risk! 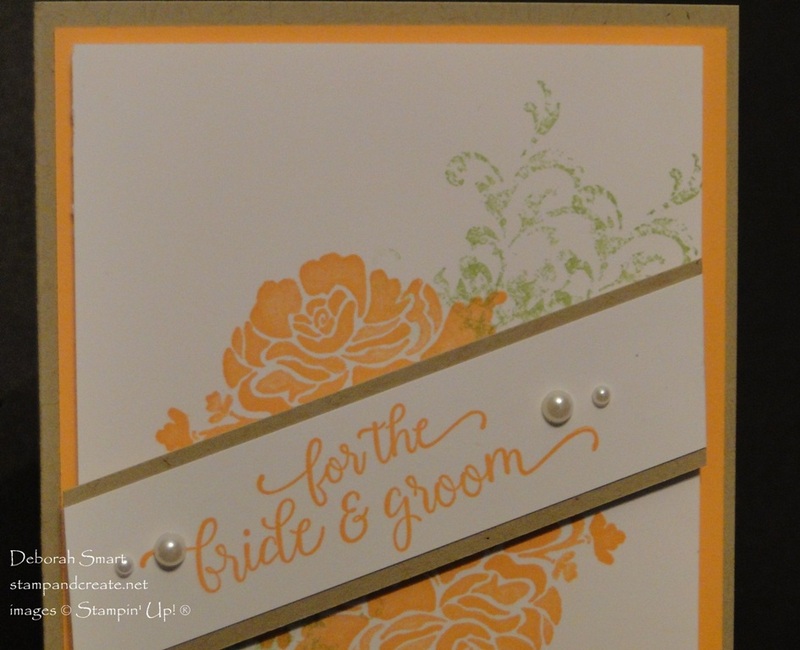 We used the pretty Peekaboo Peach ink to stamp the flowers, and added the stylized leaf image from the Timeless Textures stamp set in Pear Pizzazz ink. (I think this is when people started to mention that the ink names were making them hungry!) The sentiment is from the Falling for You stamp set. The group really seemed to like the angling of the sentiment, and how easy it was to cut off the excess from the sentiment layers. I had them cut the excess off after attaching the sentiment layers with Stampin’ Dimensionals. Doing it this way ensured that everyone had a clean, even cut that matches the edge of the card front. 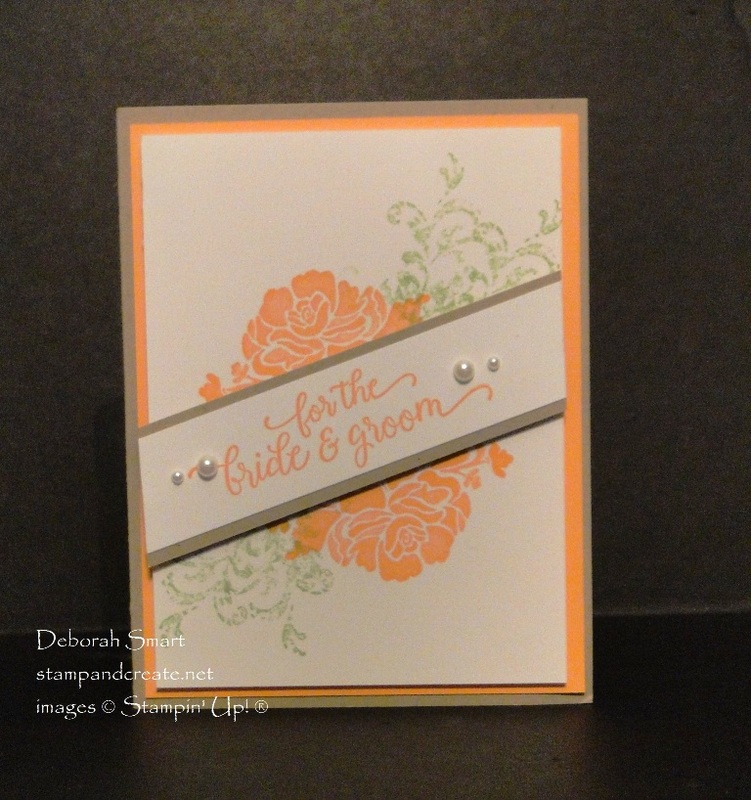 The cardstock layers are Whisper White, Peekaboo Peach and Sahara Sand. I used the 2 different sizes of Pearl Embellishments for a little extra something. Using the DSP with this card helped to reinforce what I had said about the terrific colour coordination between the inks, cardstock, embellishments and designer papers. I explained that I pulled the colours of Soft Sky, Sahara Sand and Sweet Sugarplum from the DSP. Both sentiments are from the Avant Garden stamp set, stamped in Sweet Sugarplum ink. The 3/8″ Metallic Ribbon is attached by first laying down a strip of Tear & Tape, then laying the ribbon directly on top of it. That keep the ribbon completely flat, with no buckling or gapping. A Private Card Class for You? If you’re in my area, and would like to have fun with your friends, you can book your OWN private card class with me! Just send me an email at debsmart@shaw.ca, and I’ll be in touch with you to work out the details. A private card class, or a party, is a great way to spend fun time with your friends, learn something new, and have pretty cards at the end of the class. Next Next post: New Items Added for Sale-A-Bration Final Days!